HTC unveiled two new VR headsets: the Vive Pro Eye and Vive Cosmos – at the International Consumer Electronics Show (CES) 2019 in Las Vegas. The Vive Pro Eye is the most premium of the two with a distinguished ‘eye-tracking feature’ that uses eye movements for executing commands. The Vive Cosmos, on the other hand, seems more like a consumer-focused headset with inbuilt motion sensors and ability to connect with both your PC or smartphone. The Vive Pro Eye VR headset sports a “foveated rendering” tech for better image rendering and an overall sharper visual output wherever the human eye is looking in a virtual scene. As stated above, it also comes with a native, built-in eye-tracking feature for hands-free interaction in the VR. HTC claims that the eye feature on the headset – meant for professional VR use cases – will drastically enhance the user experience by eliminating the need for controllers and using the eye movements for executing commands, which can prove to be particularly useful when it comes to VR gaming. Lastly, the device was showcased with Major League Baseball app called MLB Home Run Derby VR, which is launching in 2019. 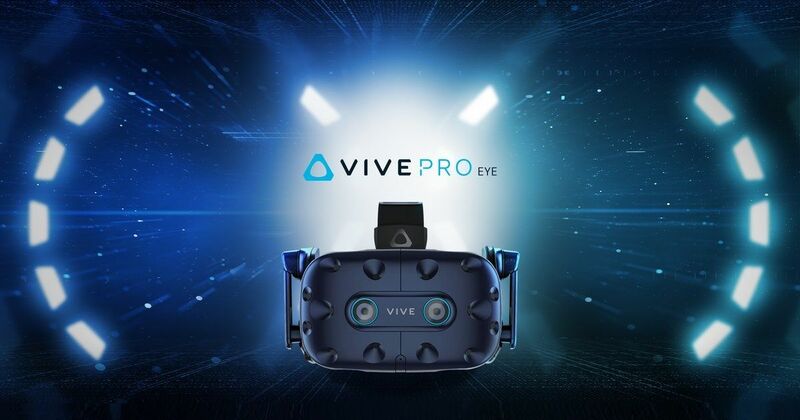 As for the availability, the HTC Vive Pro Eye will be launched in the second quarter of 2019. There’s no word over its price as of now. Talking about the Vive Cosmos, the VR headset is touted as a convenient device with “absolute comfort” and “easy setup.” It comes with a suite of modular customisations which the company will keep on upgrading. The headset also features the new Vive tracking system with support for gesture controls and six degrees of freedom (6 DoF). Its flip-up design allows you to see the real world without taking the headset off completely. The Vive Cosmos can be paired with a PC and will get smartphone connectivity in the future. As for the motion controllers accompanied with Vive Cosmos, they seem to have been redesigned to look more like Oculus Quest headset with a joystick and buttons instead of the original Vive’s trackpads. The price and availability details of HTC Vive Cosmos are yet to be determined. Apart from the VRs, HTC also introduced Viveport Infinity. Its a new monthly subscription that will give you access to over 500 games and apps. The HTC Viveport Infinity will become available from April 5 onwards.